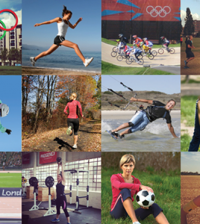 Home > All sports > cycling > #SWOTY Get the Knowledge! Do you know who won back in 1988? #SWOTY Get the Knowledge! Do you know who won back in 1988? The Sunday Times SportsWoman of the year awards began 27 years ago and a lot has changed during that time. In recent years the involvement of Sky Sports had added a touch of glitz, but do you know who won the inaugural award back in 1988? The Awards have always celebrated the outstanding contribution to sport made by elite performers, coaches, community volunteers and inspirational female figures; and back in 1988 the inaugural winner was the relatively unknown Olive Jones, a swimming teacher and sports administrator from Colwyn Bay who was honoured for her 50-year involvement with Rhos-on-Sea swim club. Heptathlete Denise Lewis has won the award a record three times – in 1994, 1998 and 2000 after taking gold in the Sydney Olympics. Paula Radcliffe has won the award two times, first in 1999 when she took silver in the 10,000m world championships and then again in 2002 when she completed her first London Marathon in a world’s best time for a women’s only race (2:18:55). Sally Gunnell was the first athlete to win the Award in 1991 having taken silver in the 400m hurdles at the world championships in Tokyo in national record time of 53.16sec. Sally went on to win a second Award in 1993 after adding the world 400m hurdles title to the Olympic crown she had won previous year. In 2006 there were no awards signaling an all-time low for women’s sport in the media. Denise Smith MBE won the overall title in 1990. Denise is something of a legend in disability sport having represented Great Britain four times at the Paralympics. She was the first ever Women’s Wheelchair race winner at the London Marathon in 1983 and completed her sporting career as a water skier by holding the world record for eight consecutive years. 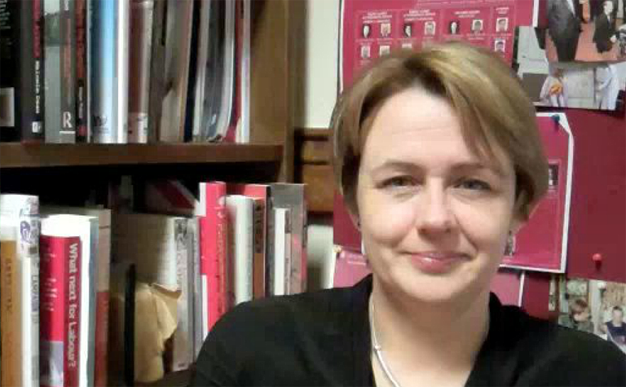 Tanni Grey-Thompson, Britain’s most recognisable Paralympian was honoured in 1992 after a superb sporting summer that saw her win four track gold medals at the 1992 Barcelona Paralympics. Surprisingly 1989 is the only year a rower, Kim Thomas, has taken the individual award, Kim was recognised after winning several international regattas while studying for an engineering degree. Katherine Grainger and Anna Watkins won the team award in 2010. In 2004 Dame Kelly Holmes took the award after winning double gold at the Athens Olympics in the 800m and 1,500m. 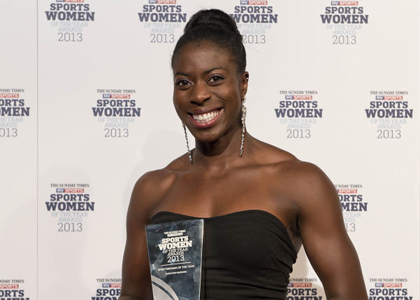 Most recently Jessica Ennis-Hill and Christine Ohuruogu won the award in 2012 and 2013 respectively. 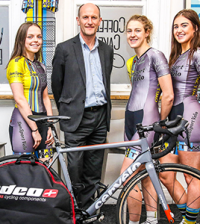 Only two cyclists have won the award, Victoria Pendleton in 2007 after winning three golds at the World Track Cycling Championships, and Nicole Cooke in 2008 after her memorable gold medal at the Beijing Olympics Road race which began a record breaking games for the British Team. Golfers Laura Davies and Alison Nicholas won the award in consecutive years – 1996 and 1997. Davies had amongst other victories won her third consecutive victory at the J Golf Phoenix LPGA International and Nicholas had secured the prestigious Women’s US Open title. There have been two winning horse riders. Pippa Funnell in 2003 after winning the Badminton Horse Trials for the second year running; and Zara Phillips in 2005 when she collected individual and team gold medals at the 2005 European Eventing Championship in Blenheim riding her horse Toytown. The only canoeist to win the award is Lynn Simpson in 1995 after winning double gold at the World Canoe Slalom Championships. 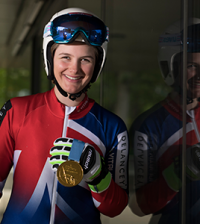 Lynn also won the World Cup series in three consecutive seasons between 1994 and 1996 and competed in two Summer Olympics, earning her best finish of tenth in Barcelona in 1992. Ellen MacArthur is the only sailor to have won the award. This was back in 2001 after she came second in the Vendée Globe solo round-the-world sailing race. MacArthur went on break the solo record for sailing non-stop around the world during 2004/5. 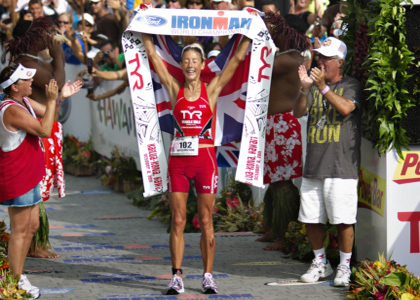 In 2009 Chrissie Wellington became the first triathlete to be awarded after winning the World Ironman Championship for the third time and setting a new course record of 8:54:02. 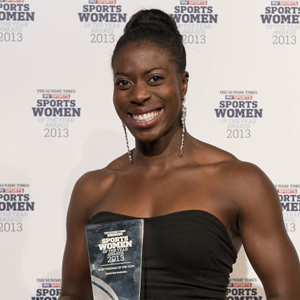 Unusually for a team sport player, Rugby star Maggie Alphonsi won the award in 2010. Maggie earned her first international cap at the age of 19 and a hugely successful career in the sport followed. Sarah Stevenson is the only martial arts winner to have been awarded the title. 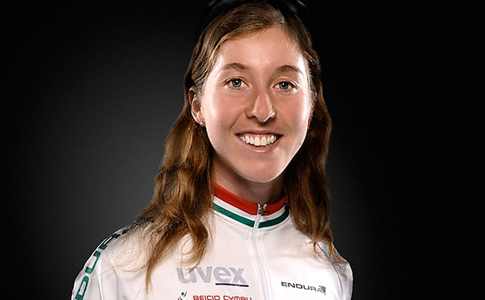 Sarah won in 2011 after winning the World Championships, despite the loss of both her parents to cancer in the proceeding year. The nominations will be announced shortly and you can watch on Sky Sports 1HD from 8pm on November 19.